We are pleased to share news that our planning team has succeeded in achieving another exciting and challenging consent. 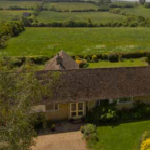 The consent granted by North Oxfordshire Cherwell Local Authority is for the redevelopment of an eco-house in place of an agricultural worker’s single storey dwelling within 40 acres of Oxfordshire countryside. One of the more difficult aspects of the consent was to agree the occupancy restriction to be lifted. This has allowed for a significant increase in value of the land. 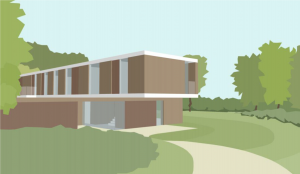 Architect, Lee Oliver of Ground Figure has worked on an exciting contemporary design for the owners.